5th person in the middle decides when and where to join in. passing couple move around in an area of 1-meter square. 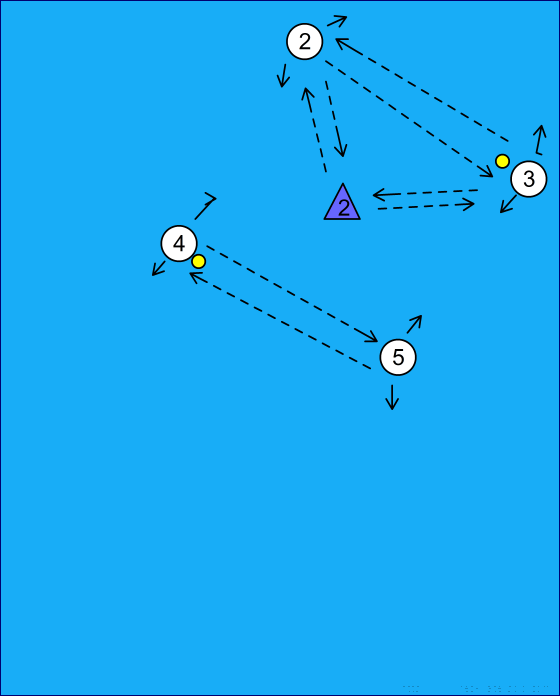 Goal is to make sure the passing couples see when a third player is available while they keep passing the ball. This drill is for a power play situation. In particular for the flank player and pole player.